We all had to wait a bit because of the government shutdown, but the 2018 Crop Yield and Production results from the USDA NASS are in. We are happy to say that CropProphet performed very well for 2018 as summarized by the table below. 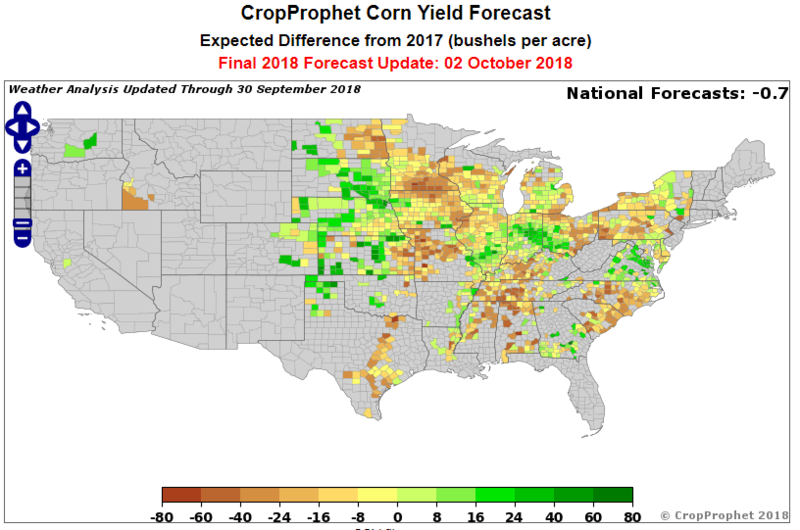 The 2018 crop year CropProphet corn and soybean yield and production results. 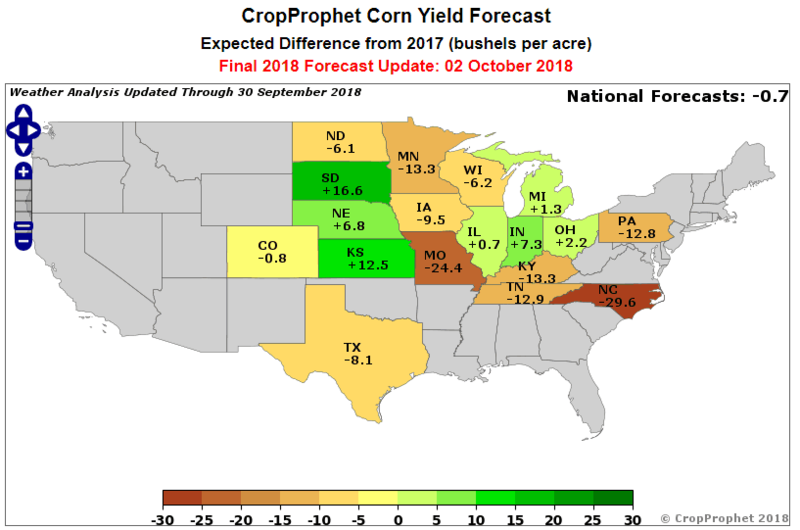 Below is a bit more information regarding some of the details of our forecast relative to the 2017 harvest. 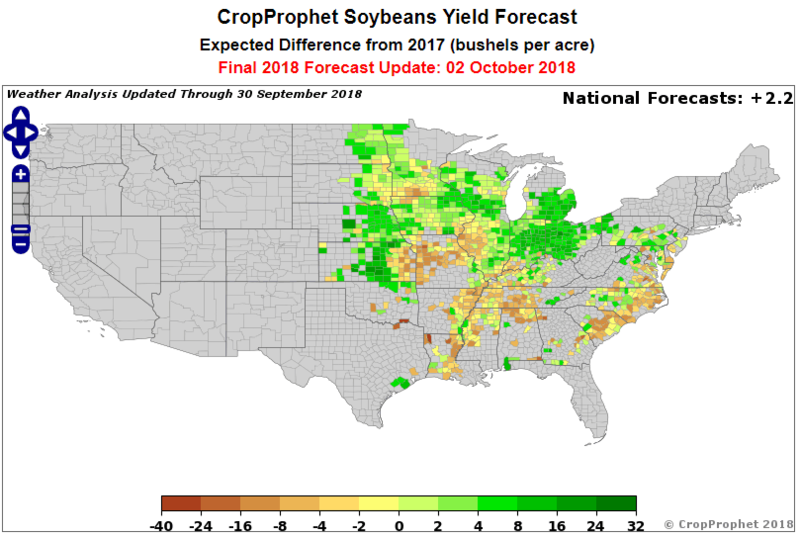 Over the next few days we’ll also be preparing additional analysis of our 2018 corn and soybean yield and production forecasts. 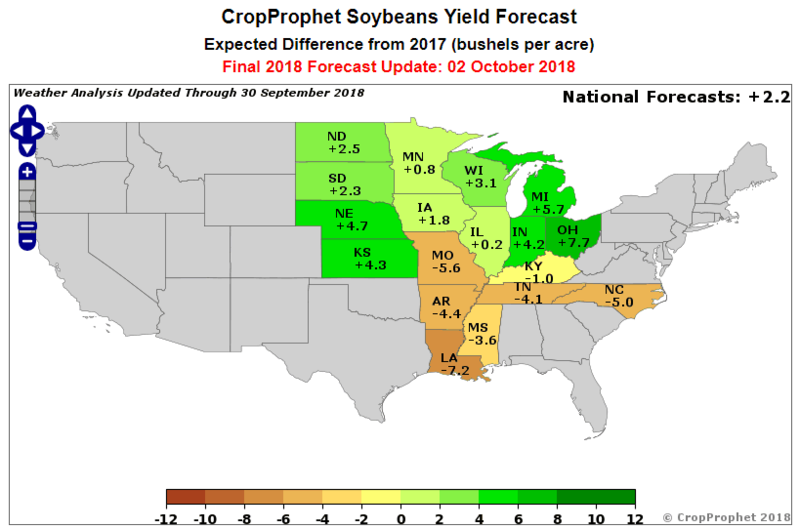 We are busy now getting ready to provide excellent forecasts again for the 2019 crop season.